Discussion in 'UFC Discussion' started by soulflytribe, Jan 14, 2013. Scott . Coker -has obtained a 5th degree black belt in Taekwondo.-Dana White -Manager and White has a background as an aerobics instructor. Thoughts? Are talking about a MMA fight or a NHB fight? Fight wise ya Coker would whoop up on Dana. Also Coker is a much nicer dude, got to meet him once and he is really down to earth. 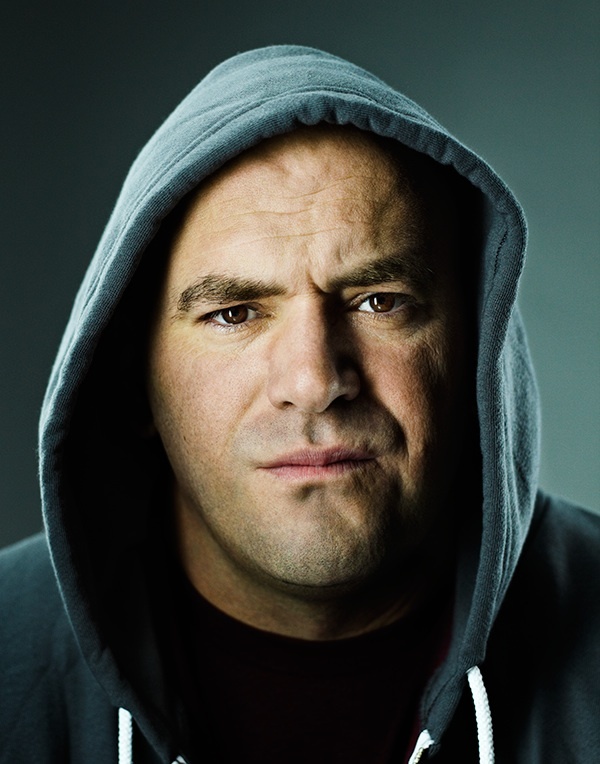 Not sure who is better at being a president of a company though, Dana has never really impressed me too much tbh. Dana was an amature boxer. Having Met both guys, I'd say Dana White is much more willing to do stuff for the fans than Scott Coker is. Dana White does free ticket give aways, merch give aways, and is pretty much readily available for the fans and for that matter the MMA media no matter how much he bad mouths the MMA media. Plus, Dana White is still in business..........Scott Coker works for Dana White, so Dana White > Scott Coker. dana is boss and coker is employee. i think that settles that. vince mcmahon beats them both! Scott Coker, the head of a now-defunct organization that didn't even stay afloat amid the promotional thrust of Showtime and the financial thrust of Zuffa. Dana White, president of the most successful MMA organization in the history of the world. Thoughts? Scott Coker looks like he should be sweeping things up at a Taco Bell, while his helper sits at a table drinking a coffee. Pretty sure Dana has some good training with his connections. Plus, he's at least. 84 times more powerful. Dana White can snap his fingers, and Scott Coker disappears into the Nevada desert never to be seen again. Not that you should judge people by how they look, but have you seen Dana? Have you seen Coker? Coker looks like a dozen donuts away from a heart attack. Dana looks like he's on roids. Dana had rich friends. That was his talent. Dana White is his boss. Nuff said.